The King of Fighters XII displeased many series fans with its severe deficit of characters, features and functional online play. That entry branded an ugly stain onto the series’ long and storied history and it made potential fans think twice about picking up any future games with the KOF name on them. This time KOF is back with a vengeance and it wears the Atlus seal of approval. 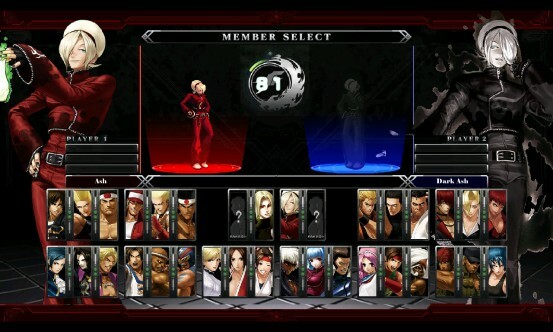 The King of Fighters XIII would have to be a complete overhaul from XII in order to be worth the price of admission. So, does it fail miserably or succeed gloriously? SNK Playmore really did try to redeem themselves and the KOF name with this title. It addresses just about all of the issues from XII and throws in enough content to make it easily worth buying. The game-play is strategic and satisfying, there are tons of characters and modes, and the overall feeling of love and quality in the game is commendable. Unfortunately, the title is host to just a couple of issues that many genre fans would consider pretty serious. We’ll get to them further into the review. Let’s first discuss the game’s visuals. 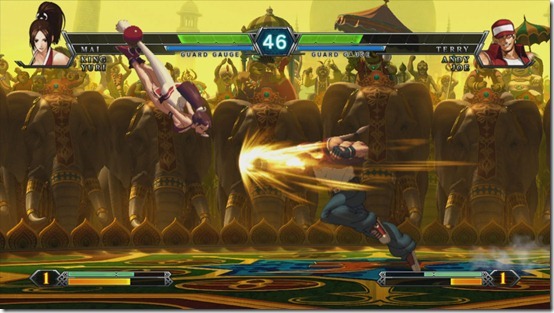 The King of Fighters XIII utilizes 2D sprites for its characters and backgrounds. These sprites are gorgeous and highly detailed. The backgrounds in the stages also feature vivid art and high levels of detail. The stages themselves are a tad bit static and don’t seem to utilize any 3D elements, making them seem a lot flatter in comparison to the stages in say…BlazBlue. The game has a consummately hand drawn look thanks to this lovely art. It reminds you of the art in the older KOF titles, only much nicer. The huge roster boasts a myriad of interesting character designs such as the odd Benimaru and the enigmatic Duo Lon. I personally found KOFXIII to be a visual treat, although I’m aware that many gamers detest similar 2D graphics. The game-play in this title is tight and technical. Fighting game adepts will feel right at home with the numerous mechanics in the fighting system. There are four basic attack buttons: a light punch and light kick as well as a heavy punch and heavy kick. Various attacks will require you to use both punches or both kicks together, such as the EX version of a special attack or desperation attack. 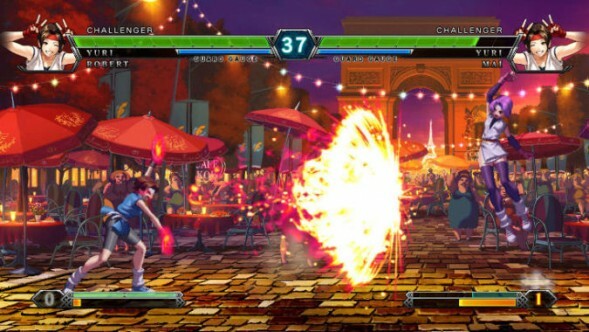 There are four gauges you’ll want to familiarize yourself with in KOFXIII: The health gauge, the guard gauge, the HD or Hyper Drive gauge and the power gauge. I probably shouldn’t be explaining this but the health gauge is depleted as you receive damage from incoming attacks. You can negate an attack by guarding, which gradually depletes the guard gauge but reduces all damage to miniscule chip damage. When the guard gauge is broken, your fighter will enter a brief but potentially fatal ‘guard break’ state, during which they’re unable to block. Like in virtually every 2D fighter ever, each character has an arsenal of special attacks that they can use at any time for no cost. In addition to these ‘free’ techniques, fighters can also use desperation attacks, as well as EX desperation attacks and EX special attacks. These techniques pull on the power gauge, which increases as your fighter gives and receives damage. A desperation attack is a powerful attack which consumes one stock of the power gauge. An EX special attack is a powered up version of a regular special attack which also consumes one stock of the power gauge. An EX desperation attack is a powered up desperation attack which consumes two stocks of the power gauge. Chaining together special attacks and desperation attacks, or EX special attacks and EX desperation attacks can cause some nasty damage for your opponent and they create deeper layers of strategy. For example, if I hit my foe with the regular version of King’s Trap Shot special, I can combo that into the EX version of Trap Shot or the EX version of her Venom Strike projectile. If I have the resources, I can combo the regular Trap Shot into her Surprise Rose or EX Surprise Rose desperation attacks, for serious damage. If I’m feeling lucky, I can combo that Trap Shot into an EX Trap Shot and then combo that into EX Surprise Rose, though this will exhaust three stocks of the power gauge and all of the HD gauge. Keep in mind the combos I’ve just listed will involve drive cancels and super cancels, which pull on the HD gauge. In addition to super and drive cancelling, the HD gauge is also used for NEO MAX attacks, MAX cancelling and entering HD mode. The single strongest technique in the arsenal of every character is the NEO MAX attack. These vicious attacks exhaust the entire HD gauge and three stocks of the power gauge but deliver unbelievable damage. Entering HD mode slowly exhausts the entire HD gauge. During HD mode, your character can perform combos that they normally wouldn’t be able to. The most important technique available in HD mode is the MAX cancel. A MAX cancel launches your characters NEO MAX attack during a desperation or EX desperation attack, thereby guaranteeing that it connects. Although it will exhaust the maximum amount of resources (I’m talking five stocks of the power gauge and all of the HD gauge), a combo in HD mode that chains an EX desperation attack into a NEO MAX attack via MAX cancel is strong enough to instantly kill some characters outright and will surely change the tide of any battle. It will take quite a while to get comfortable with all of these mechanics, though this depends on your experience with the genre. Other techniques at every character’s disposal include: throwing, throw breaking, evasive rolling, guard cancelling, guard-cancel rolling, fall-breaking, blowback attacks, hyper-jumping and hyper-hopping. As I’m sure you’ve realized by now, the King of Fighters XIII is an extremely deep and technical fighter with tons for the competitive player to sink their teeth into. This rock solid game-play base is really what makes this game worth picking up, despite all of its other merits. The roster boasts 33 characters out of the box, with three more characters coming via paid DLC later. This huge cast of characters harbors various unique fighting styles. There are enough characters for everyone to find someone they like regardless of how they like to play. No two characters are alike, which makes the roster seem much bigger in comparison to something like Street Fighter where multiple characters have practically identical sets of moves. Whether you like light characters with higher speed than attack power or heavier less mobile characters with devastating damage, someone on the roster is bound to tickle your fancy. If you’re a fan of the up close and personal approach with deadly grapples and or effective mix-ups then the likes of Clark, Maxima and Shen might suit you. If you like to use space as a weapon and zone your opponent to lock them down from afar then Billy Kane, Athena and King have the tools you need. The character variety is fantastic and it urges even fleeting fighting fans to check it out. The music of the KOF series has always drifted in the direction of rock and roll and light metal, with some jazz, ambient and a bit of fusion thrown in for good measure. This installment is largely the same in that regard as the music follows the same trend. I found myself liking a few of the softer tracks such as Who is Queen? and Queen –KOF XI-, although you’re really only going to get the most out of the soundtrack if you’re into rock. The music suits the game perfectly, although I would have personally liked if it had moved in more of an electronic or dance direction ala Tekken. There are no English voices in the game save for the announcer, although the only things the characters ever really say are pre and post-game taunts. A lot of work seems to have gone into the sound department in this game, and you really do notice. In terms of value, KOFXIII delivers. It features a ton of game modes to keep players happy. The tutorial mode is short but it introduces players to all of the basic features of the game and even walks genre newcomers through gaining and closing distance on one’s opponent or moving around. This tutorial doesn’t go too far in depth, but it is a proper introduction. The arcade mode pits you against various teams and two bosses. This mode provides a good amount of challenge and is largely what you expect. 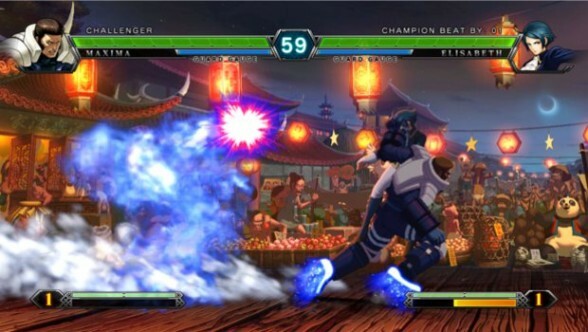 The story mode takes players through dozens of scenes, all of which help to convey the undeniably complex story of KOFXIII. This title marks the end of the Ash Crimson saga, which means that if you don’t know Ash and his purpose as explained in older games, then you probably won’t be able to make too much sense out of the game’s narrative. Some of the scenes are animated and others feature only art and text visual novel style. The lack of audible voices in the animated scenes hurts the immersion a bit, but they are all nice to look at. They also feature various characters from past games that didn’t make the roster for this one. The story is broken down into various chapters and requires a bit of replaying before you can fully complete it. The story mode seems to be a general good use of time. The versus and practice modes are both standard and solid, though I must note that the customizable select button in practice mode is quite sharp. I have mixed feelings about the online mode because it is the one part of the game that I have any serious problems with. Players can compete with fighters around the world in ranked or player matches. The netcode appears to hold up well if both players have the same signal strength, but the moment one player has a better connection than the other things fall apart pretty quickly. Instead of lagging through a match, players are hit with a display that says ‘synchronizing’. Sometimes this display sits on the screen indefinitely and you have to actually quit the game in order to continue playing. Lag appears in other, more confusing areas though, such as the order select after both players have chosen their characters. Other details, such as the loading during a match, make things seem overall a bit shaky. When both characters have good signals though, matches transpire as smooth as butter spreading onto hot toast. 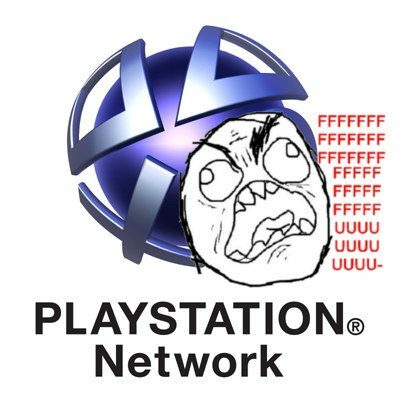 For this reason, we’ll call the netcode good, not great. The lack of multi-player lobbies and a spectator mode are the two biggest detriments to this game. For over a year American fans have been watching high level fights between Japanese players as we waited with baited breath for the American console release. The game is similar to Street Fighter in this aspect: it is almost as fun to watch as it is to play. That said, the lack of a spectator mode is a brutal blow to the game’s online mode. Watching players helps improve one’s own game, so spectator mode exists as both a learning tool and entertainment. It is especially unfortunate considering how good the game is otherwise. Also missing from the online mode is multi-player lobbies. As far as I can tell, only two people can ever be in a lobby at any given time. 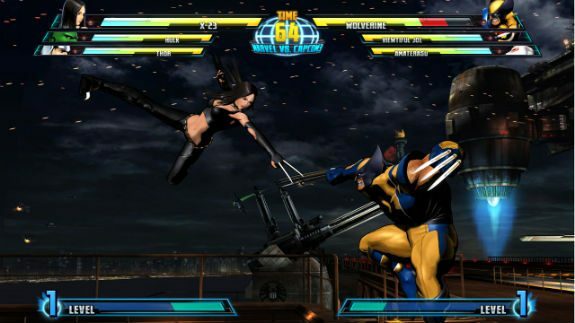 The original Marvel vs. Capcom 3 allowed players to gather into big lobbies but they could only actually see the fights that they participated in. KOFXIII doesn’t allow spectating or big rooms and it is really a shame. Other than these two glaring flaws, the rest of the online suite is up to the genre standard. A functional replay mode allows players to record their matches and watch them later. There is no replay sharing system in place, which isn’t a huge deal but it could have counteracted the lack of a spectator mode. The replays serve the same purpose they do in all fighters: they allow you to reflect on your game-play and further improve your strategy. The gigantic gallery mode is packed with art, the animated scenes from the story mode, character voices and background music. There are hundreds of items to collect and enjoy, and players will spend ages trying to unlock all of the contents. The gallery is the same bit of fan service it is in all games and the high res art is fun to stare at. The mission mode is particularly awesome because it houses three individual game modes. The main menu already appears to have a bit of cluster going on so it’s easy to see why this was preferred. The mission mode consists of a time attack mode, a survival mode and a trial mode. The time attack challenges players to finish their opponent as quickly as possible. 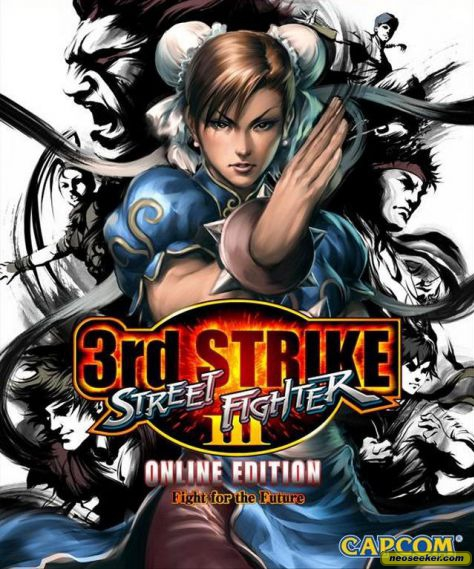 The survival mode tests players’ mettle by seeing how many opponents they can defeat before they are defeated, and there is no health restoration between battles for added difficulty. The trial mode is one of my favorite modes in the game and is becoming a genre staple. Players complete a series of combos of increasing difficulty with every character in the game. These combos are practical and it is highly recommended that you familiarize yourself with as many of them as possible for use in actual battles. If you would like some help getting the most out of your character by learning practical and powerful combos, then you should spend a lot of time here. If you care to become any good at this game on a competitive level, then don’t ignore the trial mode. The color edit mode is absolutely wonderful. Choose any character you like and then choose the colors of their costume. This mode has appeared in various fighting games, but never has it been as streamlined and easy to use as it is here. Traditionally, players choose the costume colors with red, green, and blue sliders. This system gave players the freedom to create any color in existence, but could be extremely confusing. This time, players choose one of ten preset colors for any element of the costumes, which still grants a ton of freedom but keeps you from having to write down color combinations to match with the other costumes you’ve edited (it happened and it wasn’t fun). The customize mode holds the color edit mode and the profile edit mode. You can edit your profile which is displayed online by choosing various different icons and phrases. There are a lot of these to unlock and it seems to be inspired by Capcom’s recent fighters in this aspect. Lastly, you can swing by player data to see various facts such as your most used character, your win-to-loss ratio, and your total playtime. The store menu item instantly takes players to the digital store of their respective console, allowing them to quickly access new DLC without leaving the game. Finally, I think we can count the reduced price point as another of the title’s merits. In conclusion, the King of Fighters XIII is a jewel of a fighting game. Tons of characters, modes and features make it worth every penny of the purchase price. A deep, technical fighting system challenges players to master it and a wealth of unlockables keeps you playing. The mission mode, replay mode and customization give you loads of things to do and keep the game feeling fresh. There is no ignoring the flawed online mode, though the decent netcode still makes that very much worth playing. Atlus has stated that they are aware of the faults in the online mode and that they will work hard to address them, meaning that things will only get better. And to top it all off, the game is ten dollars cheaper than the standard new game. 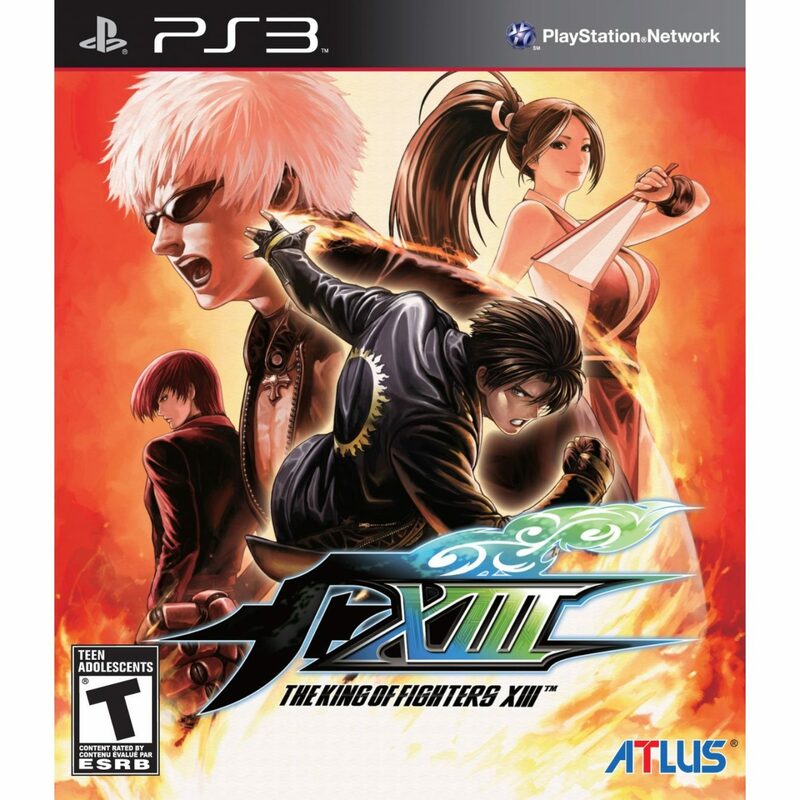 Whether you love, like or just kind of like fighting games, King of Fighters XIII deserves a spot in your collection.